One of the TCI’s “unsung heroes” is Paul Stephenson Higgs, Sr. During the early years of TCI’s political history, he was a tireless advocate for the rights of Turks & Caicos Islanders. Before the first hotel was built in Providenciales, he foresaw tourism as being the key to the country’s progress and development. The 2016 TCI election day (December 15, 2016) would have been a proud occasion for the late stateman as his grandson—Hon. Ralph Higgs—followed in his political footsteps, spearheading the tourist industry which he envisioned so long ago as being the lifeline of the TCI. The Hon. Paul Stephenson Higgs was born in Bottle Creek, North Caicos on February 2, 1898. He was married to Brenetta E. Williams of Bottle Creek and the father of four sons and four daughters. Paul Higgs was an advocate for the rights of Turks & Caicos Islanders. Paul Higgs attended the Bottle Creek Primary School (now Adelaide Oemler Primary School). As a young man, he engaged in many of the activities preferred by his age group. These included fishing, boat building and eventually construction. He was an incredible sailor and fisherman. He enjoyed fishing so much that he spent long hours in the boat. Many times, his family would worry about him because of the length of time he spent at sea. He would return home sometimes long after ten in the evening with a huge catch, some of which had already begun to rot! He lost most of his catch because of this but he did not worry about that. He was enjoying something he loved. Honourable Paul Higgs was one of the first political representatives for North Caicos. During his tenure, the island experienced many benefits. He was instrumental in securing scholarships for several persons to pursue studies in Teacher Education, Nursing and Agriculture in Jamaica. He had a passion for education. He believed that if the people of North Caicos were to assume responsible positions within their country, education must play a pivotal role. Some of the persons who received scholarships at the time in North Caicos include Claudius and Carlton Williams, Cecelia Gray and Raymond Gardiner. These individuals went on to become prominent citizens in the TCI due to efforts that were made by Hon. Higgs to ensure overseas training for them. The commencement of the popular road works programme, which involved ensuring that the roads and roadsides were properly maintained, was started under Hon. Paul Higgs’ watch. This programme provided employment opportunities for several persons on the island who, under ordinary circumstances, would not have been able to support themselves and their families. Ironically, despite the progress we claim to have made today, some political figures are still seeing this initiative as the way to stimulate the economy in the Caicos Islands. Paul Higgs was a hard-working, trustworthy, dedicated and determined man. He was very bold and outspoken and would give you a piece of his mind in a heartbeat.He once told a renowned politician at a public meeting in North Caicos to shut up because he “would not know ‘A’ if it was as big as the rafters in the building” where the meeting was being held. He was alluding to the fact that uneducated persons should not be in the forefront of politics. At the same meeting, he also reprimanded the new leader of the PDM Party, Hon. JAGS McCartney, referring to them as the “Black Power Boys” and that there was no need for that kind of movement in North Caicos. This was because of the perception of the party at that time. He was also a very religious man. He was not only a Senior Deacon in the local Baptist Church, but he was the person in charge of the church. One had to “tow the line” under his leadership. He did not tolerate marital indiscretions and laziness. He frowned on persons who could not work due to minor illness such as the flu. He would often be heard reminding workers that only lazy people had time to be sick. He was never sick—not even on the day of his sudden death. Paul Higgs was a confidante and the local people who lovingly referred to him as “Con Paul” (Cousin Paul) relied on him regularly for advice. He also served in the very sought after and important role of Justice of the Peace and Marriage Officer in the island of North Caicos. Hon. Paul Higgs played a pivotal role in the day-to-day life of his people. In addition to his religious role, he also represented the poor and downtrodden in the courts. He sought justice, pro bono, for those who could not defend themselves, despite not having any formal legal training. This was a clear testament of his interest and concern for his people. Hon. Paul Higgs was a man with a vision. 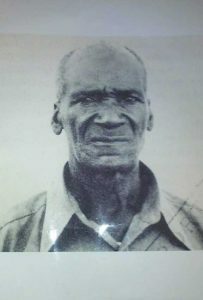 He envisioned the demise of the salt and the sisal industries and argued that although salt brought some prosperity to the TCI, he believed that it was the main factor that contributed to the country’s division—Turks against Caicos. At the time, salt was only being produced in the Turks Islands (Grand Turk, Salt Cay and South Caicos) and most of the commercial activity took place in Grand Turk. This made the Salt Islands residents, particularly those on Grand Turk, to feel that they were superior to people in the Caicos Islands. “Caucus people” (as they were called by Salt Islanders) had to travel many days in sloops to Grand Turk to trade their ground provisions and sisal products. Although their farm produce was badly needed in Grand Turk, these hard-working and ambitious people were, in many cases, mistreated and scorned during their visits. At that time, there was a buoy placed in the waters to clearly demarcate the separation between the Turks Islands and the Caicos Islands. This was responsible for the phrase “West of the Buoy.” “Caucus people come from West of the Buoy,” was a popular but not endearing term during those years. Hon. Paul Higgs wanted to end this segregation and replace it with a unified TCI. For this reason, he lobbied in the State Council for the economy to be diversified. He felt that the Islands should move towards being a tourist destination. He obviously saw where this initiative would have more far-ranging financial benefits to the lives of the people of the TCI than what was being realized through the salt industry. One of Hon. Paul Higgs’ major tests came in the late 1950s and early 1960s when the Federation Movement was the political headline in the English-speaking Caribbean. The TCI was no exception since the Islands were being administered by Jamaica at the time and Jamaica was deeply involved in the Federation and the self-determination movement. Although the TCI was ruled by Jamaica, it had not achieved the same status of internal self-government as many countries involved in the Federation Movement. The Federation issue was challenging to the TCI for several reasons. Firstly, TCI was at the time regarded geographically as part of the Bahamas and had close ties with this country as many of its people had migrated there seeking employment. Furthermore, the TCI’s agricultural abilities were hampered by the poor quality of its soil which did not permit for mass production of crops. Because of this, the TCI relied heavily on imports from neighbouring countries. Another serious challenge faced was its distance away from the other Caribbean countries involved in the Federation Movement, making travel and communication between these countries almost impossible. The TCI itself, because of its geographically scattered nature, created administrative concerns. These challenges led to the TCI’s inability to elect a representative to the BWI Federation parliament. Turks & Caicos therefore had no choice but to seek a special position within the Federation, which limited its ability to become a full member of the Federation as Jamaica was. Under the administration of Jamaica, the TCI suffered major political and economic injustices. Politically, the Islands did not receive adequate representation. The governor of Jamaica, who was also responsible for the TCI, was seated in Jamaica and made decisions about the Islands without consulting the TCI representatives who, on occasions, had to travel by sloops to Jamaica and missed many sittings of the Jamaican House of Assembly. Also, because of the limited numbers of TCI representatives, even if they had arrived on time to attend House meetings, they could not affect any real change for the TCI as they were outnumbered. Jamaica in essence, was seeking its own interest with little concern for the TCI. Economically, Jamaica was benefitting from the TCI’s salt industry by charging a tax on all exports of salt from the TCI. The income from this tax went directly to support Jamaica’s economy rather than being reinvested into the TCI. This was a repeat of what was experienced in the 1700s and early 1800s while TCI was being administered by the Bahamas. This practice by Jamaica seriously contributed to the further underdevelopment of the TCI.It is important to note that all the commercial activity was mainly between Jamaica and Grand Turk, making the Caicos Islands dependent on Grand Turk for day-to-day needs, further enhancing the superiority complex of the residents of Grand Turk forementioned. When it came to the crucial vote in the TCI’s local Legislative Council, made up of one member from Salt Cay, one from South Caicos, two from Grand Turk, one from Middle Caicos, three from North Caicos and one from Blue Hills, the Yes’s won by one vote (five to four) in favour of the TCI moving away from Jamaica and becoming a full-fledged British Colony. This was symbolic of Hon. Higgs’ strong stance against the harmful separation between the Turks and the Caicos Islands. All the representatives from the Turks Islands voted in favour of remaining with Jamaica, while all the representatives in the Caicos Islands, led by Higgs, voted for separation. If it were not for his strong position and leadership, supported by that of his colleagues Gus Lightbourne, Emanuel Hall, James Walkin and Harry Musgrove, the TCI might still be a colony of Jamaica to this day! One can only assume that with the economic and political challenges that Jamaica is currently facing, the TCI might not be enjoying the high level of economic growth and prosperity it now enjoys. These five brave men had finally affected the change longed for by the Caicos Islands. Following this vote, representatives in the Turks Islands realized that the balance of power resided in the Caicos Islands. They felt that to avoid further defeats, a seat had to be taken away. The seats in Bottle Creek, North Caicos were reduced from two to one. This seat was placed in Grand Turk, giving the Turks Islands the majority of seats. Hon. Paul Higgs was a part of TCI’s pre-ministerial era. He realized that the single member constituency that currently existed could not reap the necessary rewards for the TCI. Hence, he encouraged voters to support the then-Labour Party which was spearheaded by Clarence Jolly and others who had just returned home from the Bahamas with experience in political organizations. Hon. Higgs spoke out openly in favour of the Labour Party as he felt that collectively, local representatives would be a greater force to reckon with. He noted that every developed country had a labour system of government. In his view, the same should apply for the TCI. He drew reference in his many political speeches to countries such as Barbados, Jamaica and Trinidad and to their respective Labour leaders—Errol Barrow, Alexander Bustamante and Dr. Eric Williams. He was self-educated and kept abreast of what was happening politically in the Caribbean region and the role that Caribbean leaders were playing in the lives of their people. Hon. Paul Higgs admonished the TCI to follow the example around them. He argued that the world was changing and that the TCI should also change in order to remain competitive. Hon. Paul Higgs was passionate about his people. He argued that the TCI should make a serious effort to attract foreign investment. He believed that this would be one of the ways to reduce unemployment and raise the standard of living of the people of the TCI. This, he believed, would make the TCI a better place. This was his dream. Hon. Paul Higgs was a warrior. He was a champion for people’s rights, justice and equality. He felt the pain that the people in the Caicos Islands were experiencing. He experienced their struggle first-hand. He knew about the rejection Caicos people encountered. He experienced it first-hand. He knew of their unfair treatment and degradation. He experienced it first-hand. Despite being unpopular in certain circles, Hon. Paul Higgs was a man of passion, a man of substance, a man who cared. He placed country above self, a concept that is desperately lacking among some politicians in the TCI today. This is what is required of leaders. Hon. Paul Higgs led by example. The TCI has since seen the closure of the salt and sisal industries and the growth and expansion of tourism with flights from North America, the Caribbean and Europe. This is undoubtedly Paul Higgs’ vision being realized. What has made his vision so significant is that tourism is now the focus of the Caicos Islands—the very islands that Hon. Higgs knew needed to grow and develop in that direction. Some of his family members, including two of his sons and one of his grandsons, have been actively involved in the tourist industry in the TCI and the Bahamas. Interestingly, Hon. Higgs himself was not a supporter of the Black Power Boys’ new party, the PDM. He obviously did not endorse some of the activities that the group allegedly were engaged in. He obviously would have supported their position on making Turks & Caicos Islanders first in their country. This is what he wanted to see. However, during the December 15, 2016 general elections one of his grandsons, Hon. Ralph Higgs, who resigned his post as the Director of Tourism to contest a seat, on a PDM ticket in North and Middle Caicos won convincingly and was appointed as the new Minister of Tourism. Hon. Paul Higgs’ dream for TCI seems to have come full circle. At the age of 83, Paul Stephenson Higgs died suddenly (without illness) on May 12, 1980 in Nassau, Bahamas while visiting his children. He was buried in Old Trail Cemetery there. TCI Chief Minister Hon. JAGS McCartney was buried on that same day. Hon Higgs is survived by two sons and one daughter. From the records, his political career in the TCI spans from 1955 to 1962. The 2016 TCI election day would obviously have been a proud, joyous and exceptional one for Hon. Paul Higgs if he were alive to see his bloodline following in his political footsteps and spearheading the tourist industry which he envisioned so long ago as being the lifeline of the TCI.